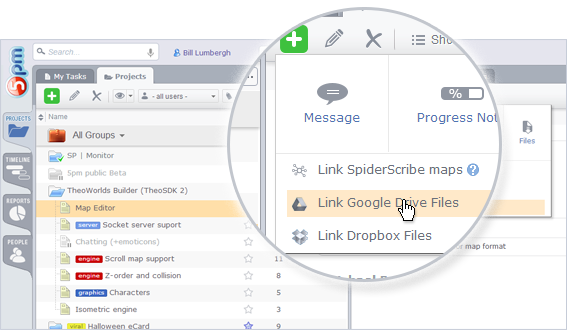 You can easily link your Google Drive™ files from 5pm. If you are using Google Drive™ (Google Docs) for managing your documents and storing your files, you can now easily import them into 5pm, the same way you are attaching other files. It also works with Google Google Apps™ accounts.